Let me crawl the Earth. It is barren like my soul. And answers to questions you must know. Who are your friends; may I torture them? 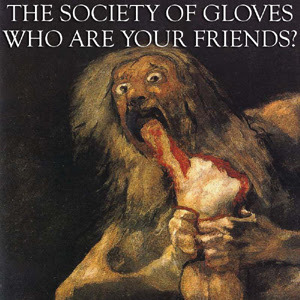 Who are your friends; may I devour them? Let's pretend they're still in love with you. Let's pretend you will see me through. These tears you have to shed. Oh my, oh my, am I pleased to meet you. And when he gets it, it's the end. Out of this hole, out of control. Drunken the soul's come down to this. I am the underdog; I am the sorrow god. Shadow follows light to hold you in the dark. © & (P) 2007 DeRamos Music (ASCAP). All rights reserved. P.S. Compare these lyrics with the original lyrics from 2004 (posted January 2005).